We know we Malaysian love to watch TV. Now, there's a great news for all of us. 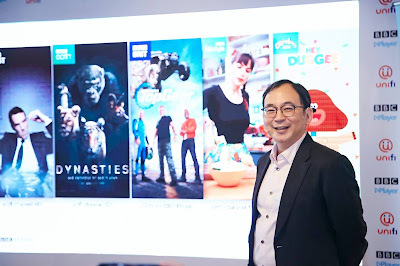 BBC Studios and unifi TV has announced the expansion of the BBC Player service, enabling all unifi and pre-unifi (Streamyx) customers to enjoy the best of British documentaries, dramas, comedies, lifestyle and preschool programmes via streaming and downloading of the content to their devices. Previously available only to subscribers of unifi TV’s Ultimate pack, BBC Player will now be available to more than two million unifi subscribers for FREE for 30 days. Ryan Shiotani, Vice President, Content, Asia, BBC Studios presents the trends in viewership especially related to contents by BBC Studios. “It is evident that BBC content resonates with Malaysians and their families who are looking for high quality, intelligent programmes. We are glad that we are now able to offer these programmes to a wider base of Malaysians,” he added. 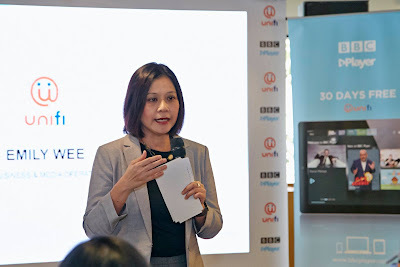 Emily Wee, Vice President, unifi Content (Product) talks about the collaboration between unifi and BBC Studios in bringing BBC Player to all unifi broadband subscribers. 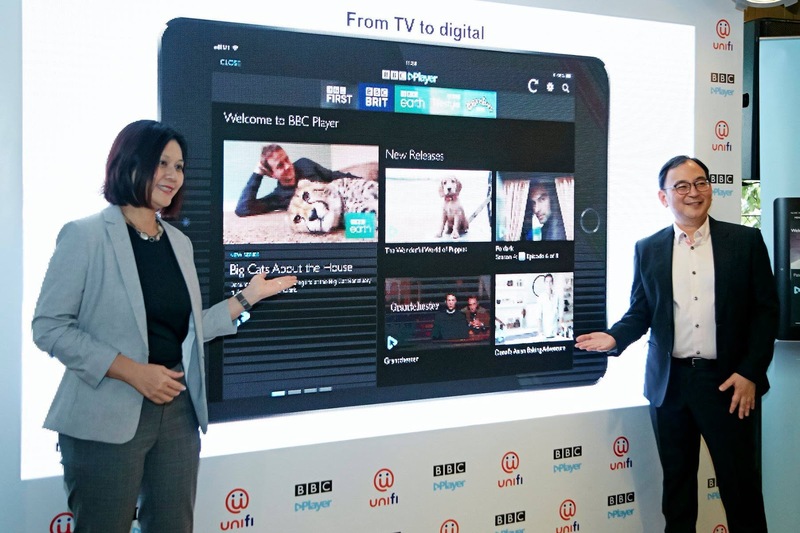 Emily Wee, Vice President, unifi Content (Product) and Ryan Shiotani, Vice President, Content, Asia, BBC Studios; presenting the BBC Player during the launch of BBC Player Expansion. At the press event announcing the expansion of the BBC Player service, BBC Studios also announced the launch of “Got Science?” – an entertaining science magazine show hosted by Malaysian funnyman, Harith Iskander, the godfather of Stand-Up Comedy in Malaysia and winner of Laugh Factory’s ‘Funniest Person in the World 2016’. In this BBC Earth original commission, Harith Iskander explores and explains the science in everyday life using reason, logic, and rationale, and science. Some of the themes explored in the series are food, health and fitness, sport, anatomy and technology. Got Science? is set to premiere on BBC Earth on Tuesday, 11 September 2018 at 8.05pm, and will be available on BBC Player at the same time. 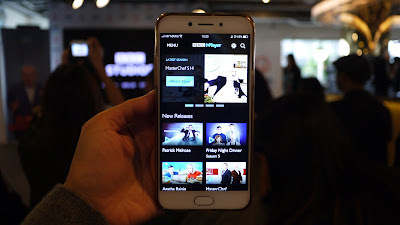 BBC Player is available as an app – downloadable from the Apple and Google Play app stores, and online at www.bbcplayer.com. 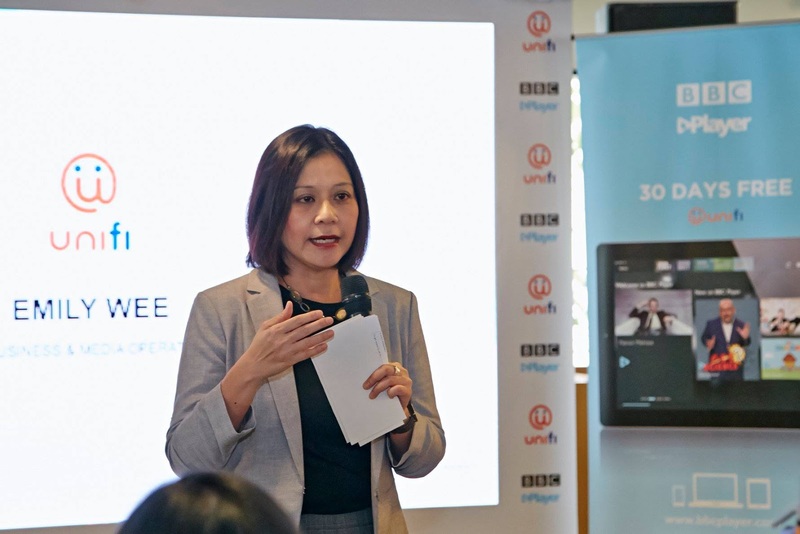 To activate the 30-day free trial, unifi subscribers just need to sign in to the BBC Player app or website while on their unifi home broadband network. After the 30-day free trial, the subscription will be priced at RM10 a month and the BBC Player subscription fee will be reflected in the customers’ monthly bills.